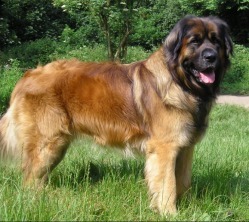 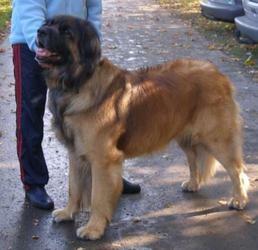 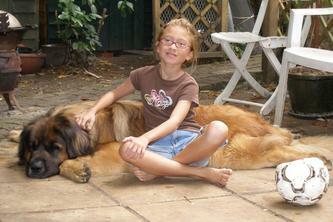 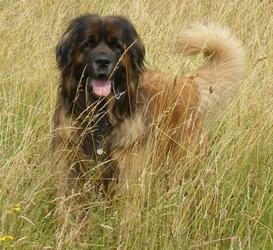 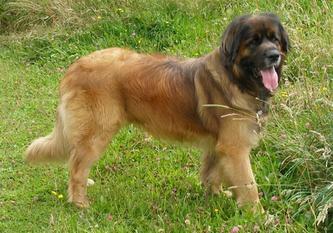 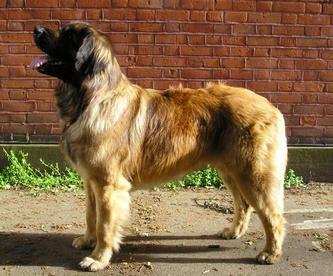 Rufus stayed with us from our first Leonberger litter, the son of our beloved Joji. 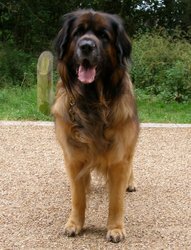 He is a smart, active fellow, with a very keen working drive who has shown a strong aptitude for all manner of activities. Rufus passed his Kennel Club Good Citizenship Bronze Level test at just 6 months old, and has since gone on to achieve his Gold Level pass. 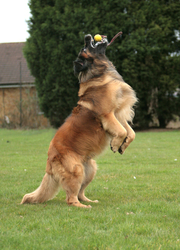 He gained a level one certificate in carting and will be following this up in future. 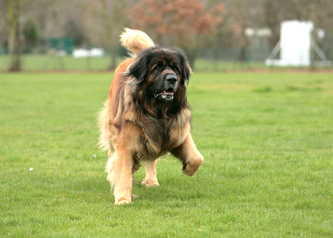 He is demon for agility training. In one season of water work with SEALS, he gained his first through 3rd level certificates in water rescue training. He has also done scent tracking, obedience training, field retriever training and is positively passionate about tennis balls, especially the thrown variety. No placid, laid-back Leo this, Rufus is firmly in the Turbo-Berger camp. 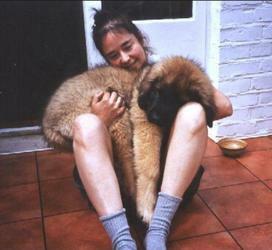 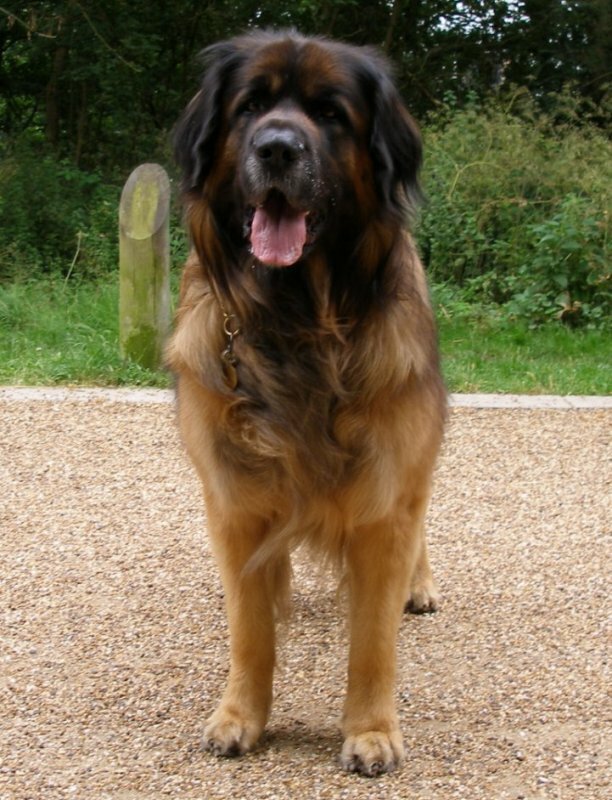 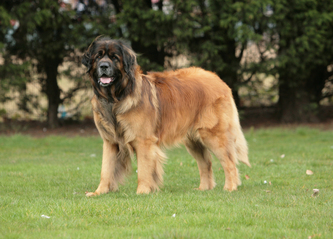 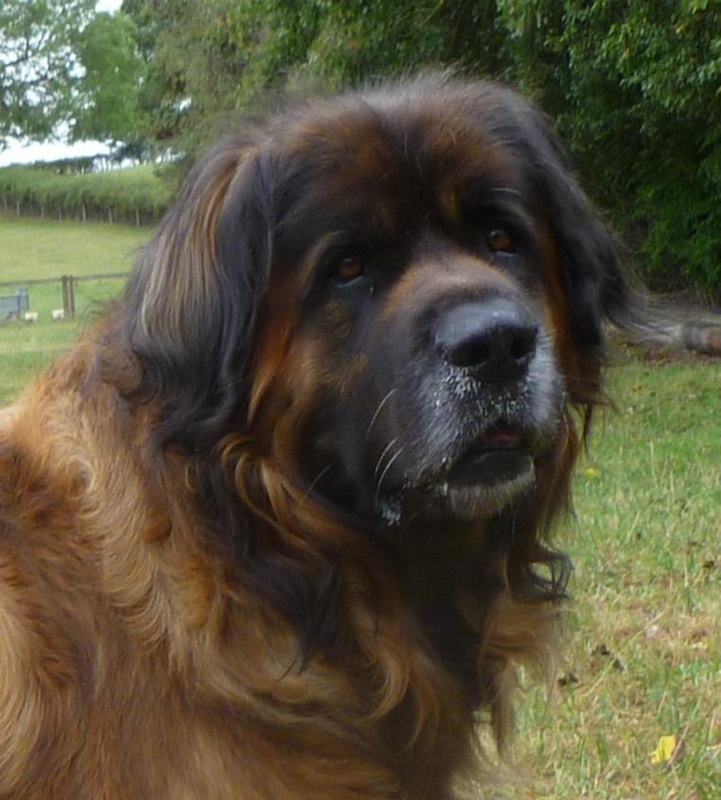 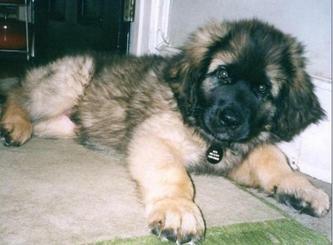 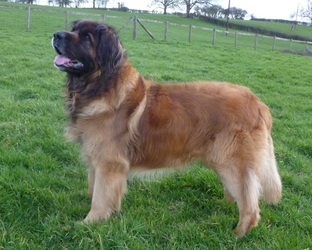 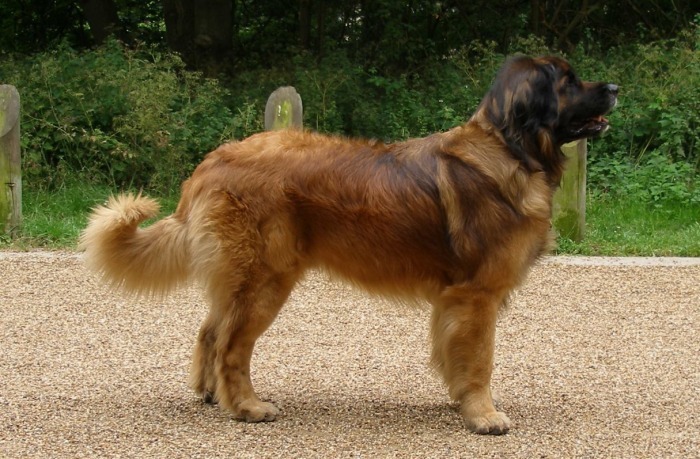 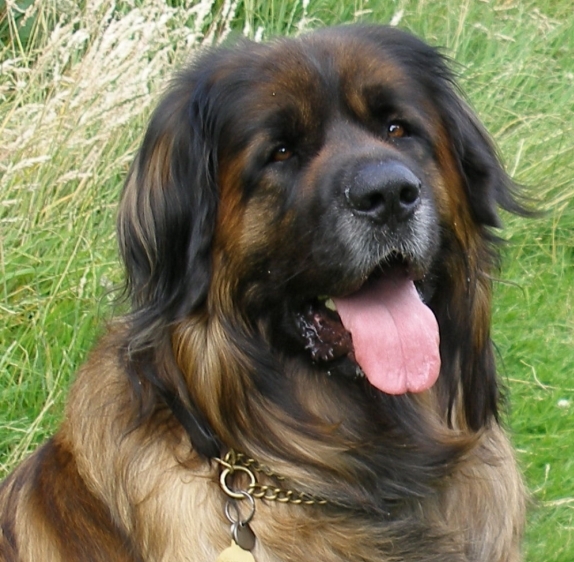 It had always been our hope that Rufus would father the next generation of Lionscourt Leonbergers, but in 2009 he was diagnosed with Laryngeal Paralysis, a precursor condition to an illness called Leonberger Polyneuropathy, which his father sadly had, and so his line was stopped. 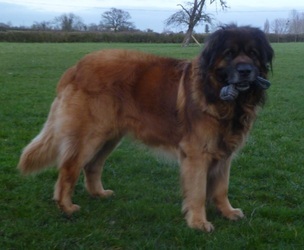 Rufus has had a tie-back procedure to help with his breathing and is now back to his happy, bouncy self again. 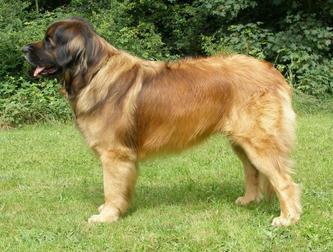 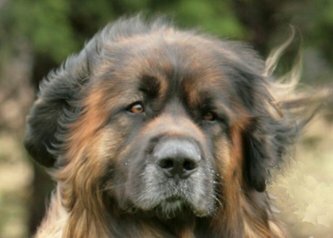 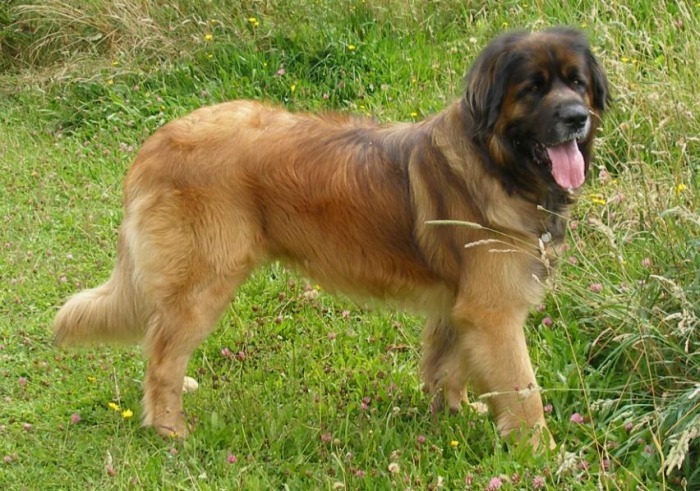 If you would like to read more about Leonberger Polyneuropathy, please click here.